Anything nice you know of? I for one like the song "Brennið þið vitar" (e. Burn you lighthouses, that is, light up, not burn in the meaning of burning down) by Páll Ísólfsson. You can listen to it here. Please share, I'm trying to sink myself into choir works, especially male choir. If you like Janáček, Male Choruses with the Prague Philharmonic Choir (below) is an excellent disc. Also, Britten's opera Billy Budd (no female roles) has some good men's choral moments. Oh, and how could I forget: you might want to check out the classic Sea Shanties, with the men of the Robert Shaw Chorale. I like Sibelius's Kullervo. Really powerful, raw, testosterone-filled stuff, especially the build up to the climax. You really get a sense of the ritualistic and mythical nature of the storytelling with the choir's chanting. I saw a performance of this and had the added experience of seeing the strapping young men of the Helsinki Choir ranging across the choir stalls . Oh yes, Kullervo is marvelous. I just heard it for the first time last year. 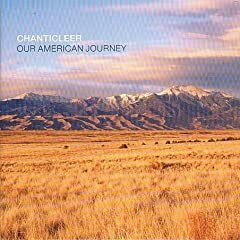 Also, Chanticleer has done some terrific work. 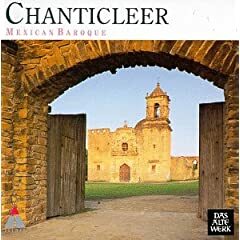 Two that I especially like are Mexican Baroque (music of Manuel Zumaya and Ignacio de Jerusalem) and Our American Journey (arrangements of folk songs and contemporary American music). Stravinksy's "Oedipus Rex" has quite a few male choral bits. Cherubini's Requiem in D minor is an excellent work for male voices (and orchestra). There is a stupendous recording conducted by Igor Markevitch (in DG, and, if I'm not mistaken, also in Supraphon).